Not sure what time of year you’d enjoy Yosemite the most? Use this helpful guide to help you decide when the weather in Yosemite will be most amenable to your hobbies. Season Averages: December, January, February The coldest and least crowded time of year, the weather in Yosemite during the winter can get quite chilly, making it an excellent getaway for anyone who loves to ski, snowboard, or sled. Yosemite’s Badger Pass is a world famous ski area with amazing vistas of the park down every run. Cross country skiers can also enjoy an overnight guided tour from Badger Pass to Glacier Point, considered the most scenic lookout point in the continental United States. Tours of the Yosemite Valley floor run throughout the winter – the only difference is that they are held in warm buses rather than open air trams. Season Averages: March, April, May Yosemite weather really starts to turn around near the end of spring, an ideal time to visit the park if you love brisk fresh air, wildflowers, newborn animals, and waterfalls. As the snows of winter begin to melt, wildflowers burst forth all over Yosemite National Park, and the waterfalls which were completely dry in fall finally pour down once again. Yosemite is a photographer’s paradise in spring for both of these reasons, and because you just might get a shot of a newborn fawn taking its first steps. Season Averages: June, July, August Yosemite weather is it’s hottest in summer, bringing the biggest crowds but also the most options for activities. 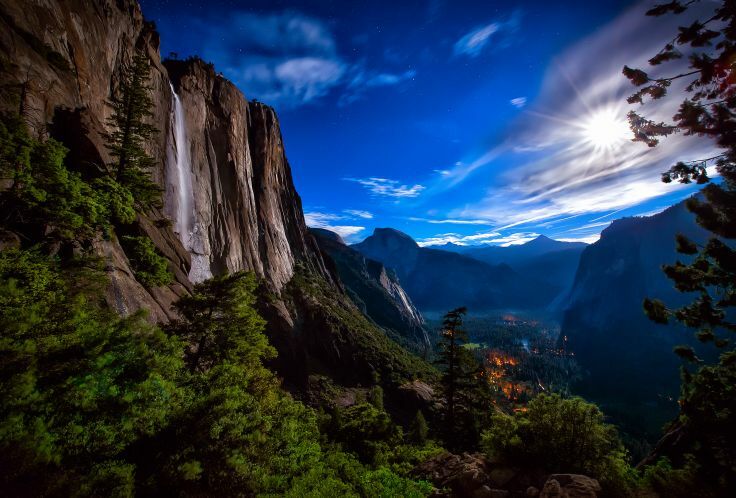 Hiking, rock climbing, biking, rafting, fishing, photography, stargazing, guided tours, bird watching – all can be enjoyed during Yosemite National Park’s beautiful summers. Season Averages: September, October, November The weather in Yosemite during autumn is ideal for strenuous outdoor activities like cycling, hiking, and rock climbing, plus the park is significantly less crowded than it is during the summer. Changing leaves make autumn a great time of year for photography enthusiasts to visit Yosemite National Park. 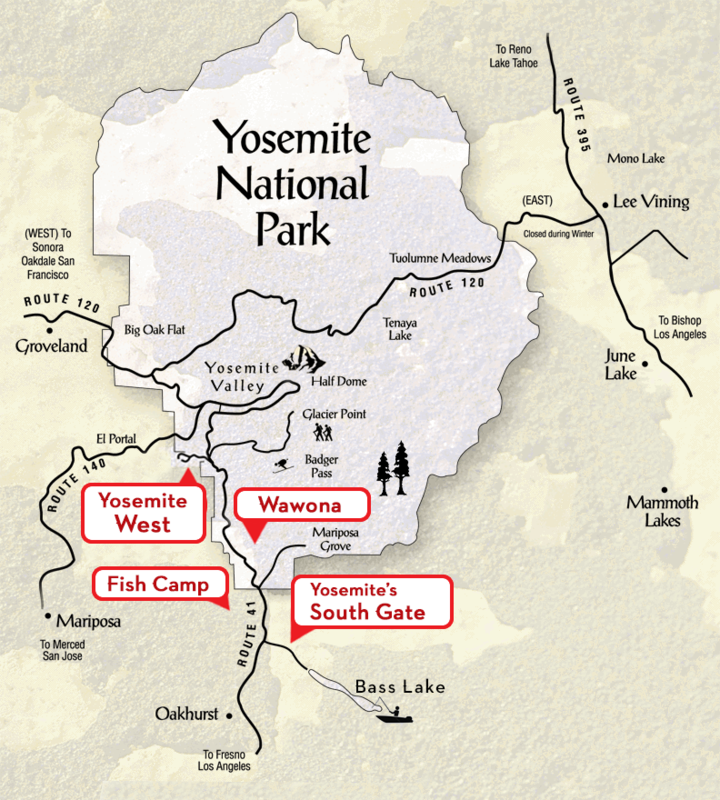 Once you’ve picked the best time of year to plan your trip to Yosemite, give us a call at 1-888-YOSEMITE (1-888-967-3648) to reserve an affordable cabin, condominium, or house within the gates of the park itself. No matter what time of year you come, you won’t regret reserving your Yosemite accommodations with Scenic Wonders.